The last time anyone played a big budget version of Hercules in New Zealand it was Kevin Sorbo. 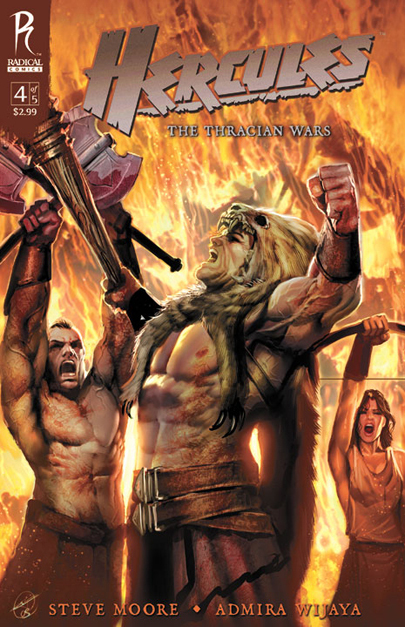 Now Variety reports Dwayne 'The Rock' Johnson himself has signed on as part of the adaptation of Radical Publishing's graphic novel Hercules: The Thracian War, which begins filming in Aotearoa this October. 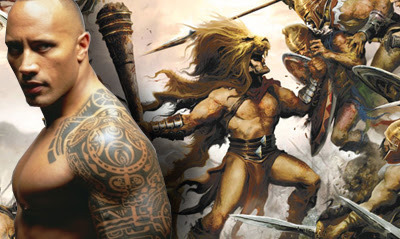 With director Brett Ratner expected to film the MGM blockbuster Hercules in South Auckland, the Samoan superstar will feel pretty much at home, having lived in Auckland as a child and even attended Richmond Road Primary School in the suburb of Ponsonby. Easily my favourite celeb, both as an athlete, motivational speaker and humanitarian, it rocks my socks to think Dwayne will spend a 'Kiwi summer' soaking in the hospitality of my country. I like this news. I hope they take a serious approach to the movie because the new conan and the prince of persia were horrible failures. I thought DC was going to cast him as Black Adam where Marvel dropped the ball on casting the Rock as Namor, the mighty Submariner. Anyway heres to big hopes. Hey OA, glad you are excited by this too. Personally I'm hoping it does what the Scorpion King failed to do, and that's unleash Dwayne in a mythological setting, without trying to do a lighthearted romp at the same time. Judging from the book, that just might be the case!